something for everyone: over 200 different clubs and organizations. With more than 200 student organizations at Creighton, there’s something for everyone, from undergraduates to graduate and professional students. 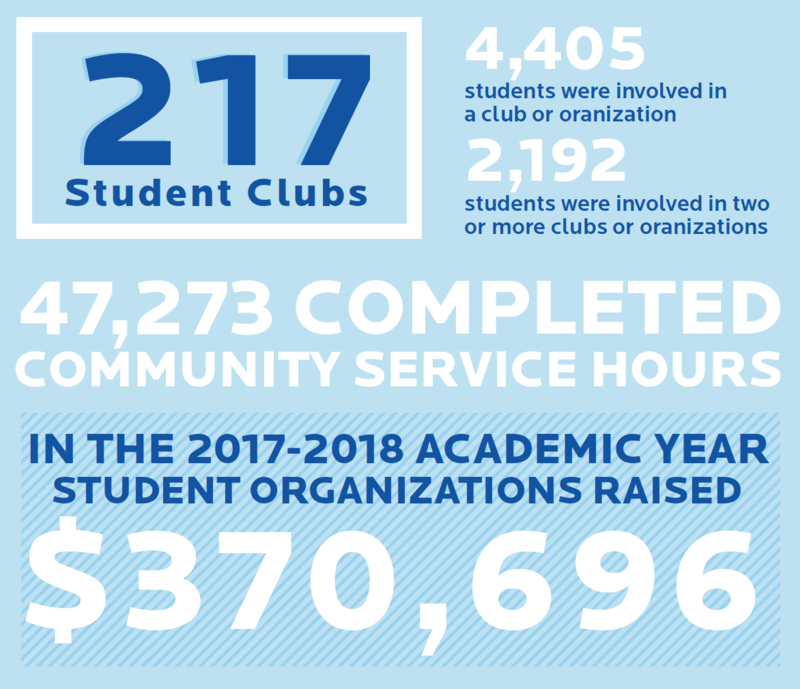 Each year, with support from the Student Leadership and Involvement Center, Creighton Intercultural Center, Recreation and Wellness and more, our student organizations provide leadership opportunities and the chance to apply education outside of the classroom. Get familiar with one of Creighton’s most valuable resources! Find leadership opportunities, discover new programs, and organize events. Interact with student organizations and discover your passion during an exciting night of carnival games, prizes, magic, and performances. Become a part of the fraternity and sorority tradition at Creighton, an active part of the campus experience since 1921. 97% report they have grown from being in a leadership role within a club. 93% report leading a student organization positively impacted their Creighton experience. Student Organizations will help you become a better communicator and delegator. They will also help you develop a stronger awareness of yourself and your impact on others, manage your time more efficiently, incorporate new perspectives into your work and leadership tasks, and refine skills you can bring to your future career.